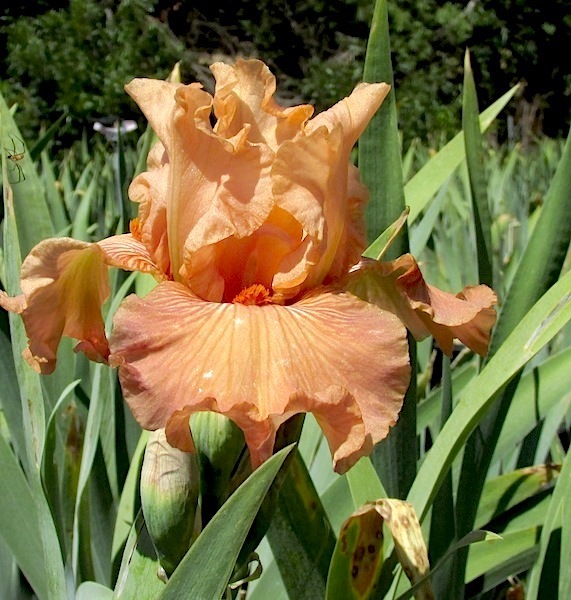 Autumn Sunrise-Spoon-2007-32″- Very good rebloomer and grower with ruffled and flared pink/orange flowers. Tangerine beards. Flowers in spring, early summer, and fall in So. Calif.